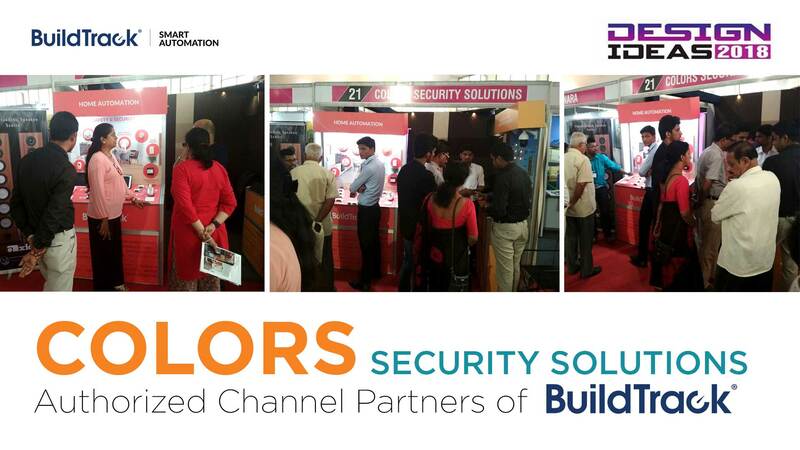 Colors Security Solutions, Mangalore a partner of BuildTrack, participated in Design Ideas 2018 Exhibition on 13th-15th April 2018. Their displays included Home BuildTrack Smart Automation and IoT solutions as well as Home Theatre & Acoustic systems. The event was well attended by builders and architects who displayed ahe major interest in BuildTrack demonstration center consisting of Home Automation Solution, Energy Efficiency Motion Sensors, Video Door Phones and Home Theatres. While more than 50 companies had participated in this exhibition Colors Security Solutions display stood out for the unique offerings and the hands-on experience that were provided. About Design Ideas 2018: Manipal Centre of Indian Institute of Architects (IIIA-MMC) has organized DESIGN IDEAS 2018, a seamless Mega Exhibition of Architecture, Construction and Interior Design products from manufacturers throughout India at TMA Pai Convention Centre, MG Road-Mangaluru on 13th -15th April 2018.